In a word, SPECTACULAR. 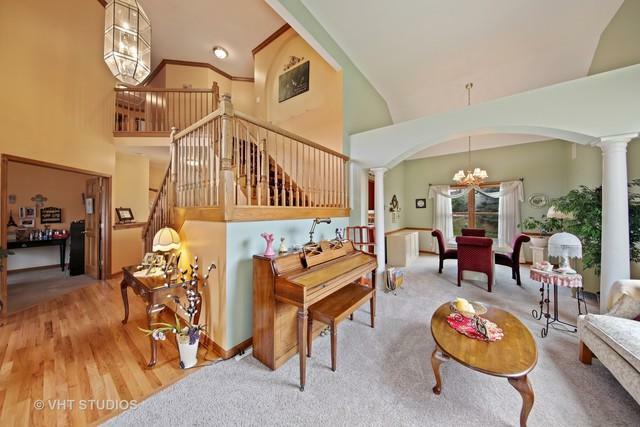 The impressive 2 story foyer, with newly refinished hardwood floors, welcomes you into a fabulous main level floor plan-plenty of windows and light. 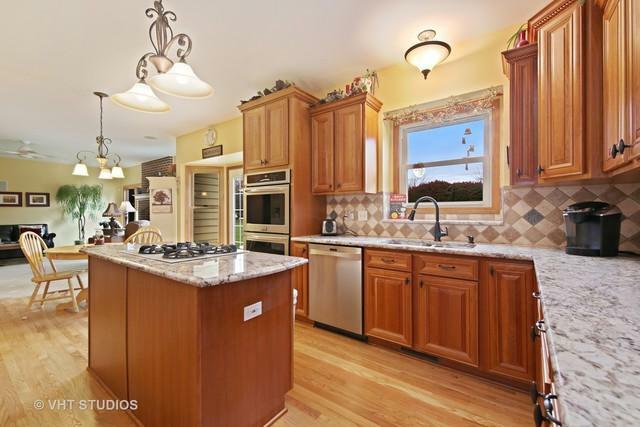 The lovely eat in kitchen has been updated and features 42" cherry cabinets, granite counters, center island, hardwood floors, double oven and new SS appliances. The kitchen opens to the family room with raised hearth masonry fireplace. The living and dining room are separated by artistic pillars and arch and has brand new carpet. The main level is completed with a den and full bath. Double doors open to the luxurious master suite with tray ceiling, full bath and walk in closet. There are 3 more ample sized bedrooms upstairs, all with new carpet & ceiling fans. 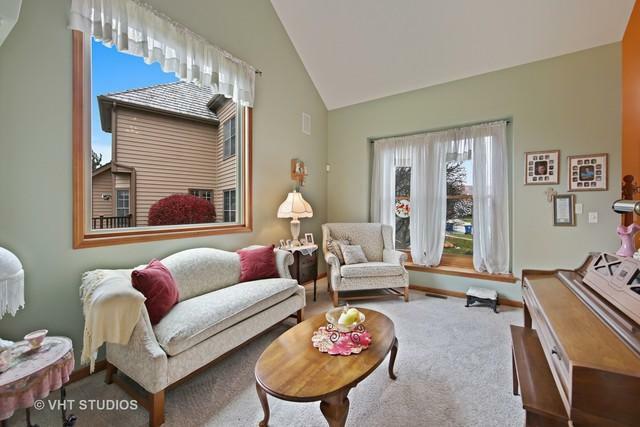 The huge finished basement has another full bath, sewing room, plenty of entertaining space and storage. Exit the kitchen to the private yard with large concrete patio. Playground is across the street. 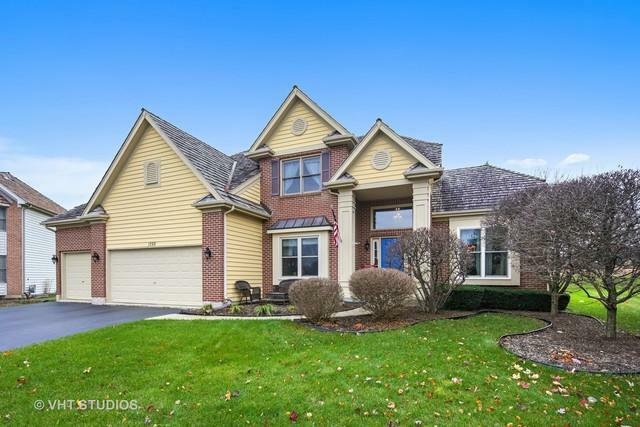 This home is serviced by Naperville schools.